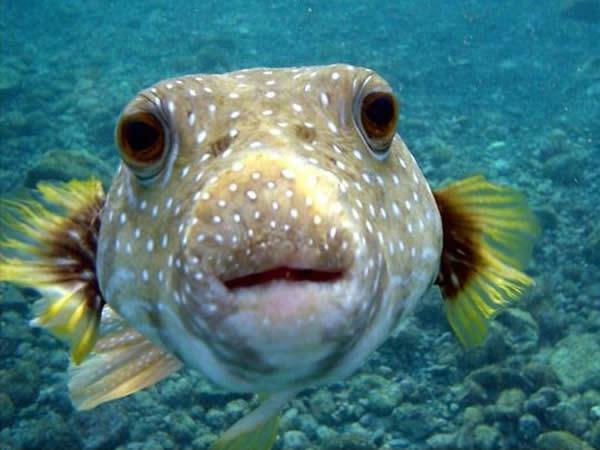 Pufferfish is a fish that is very poisonous and its poison kills by paralyzing the diaphragm. Though their eyes are too adorable, but they discharge a poison from their elbows which can even cause death. They look friendly, but because of their aggressive nature they have caused many human deaths. Cassowary looks like a colorful Ostrich but when human disturbs him, it becomes dangerous and extremely aggressive. Although this animal is very little, but its bright yellow skin makes it one of the most poisonous creatures on earth. Wolverine are not so big but, they have powerful jaws and claws, which makes them capable of killing animals that looks bigger and stronger than them. Swans look very graceful but when provoked they get too aggressive and can hit and bite. They are the only animals that looks like man and are very intelligent but have more strength than a human being. They can become one of the most cruel animal.